KATHMANDU, Dec 05 : Minister for Culture, Tourism and Civil Aviation, Rabindra Adhikari has said the European Union-imposed ban on Nepali aircrafts in Europe sky will be lifted very soon. 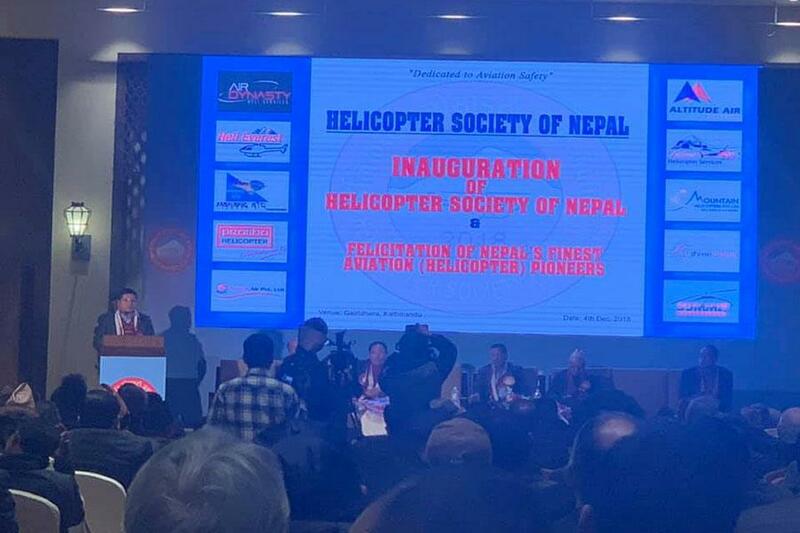 Inaugurating the Helicopters’ Society of Nepal on Tuesday, Minister Adhikari expressed this confidence based on recent discussions with EU officials. He questioned the EU for the rationale behind keeping Nepal in black list when the International Civil Aviation Union (ICAU) has removed Nepal from the list after its serious security concerns were addressed. “We have brought improvements in line with the EU recommendations. I hope the EU will remove Nepal from its black list very soon”, Minister Adhikari added.